Hello all, here is my Summer newsletter. 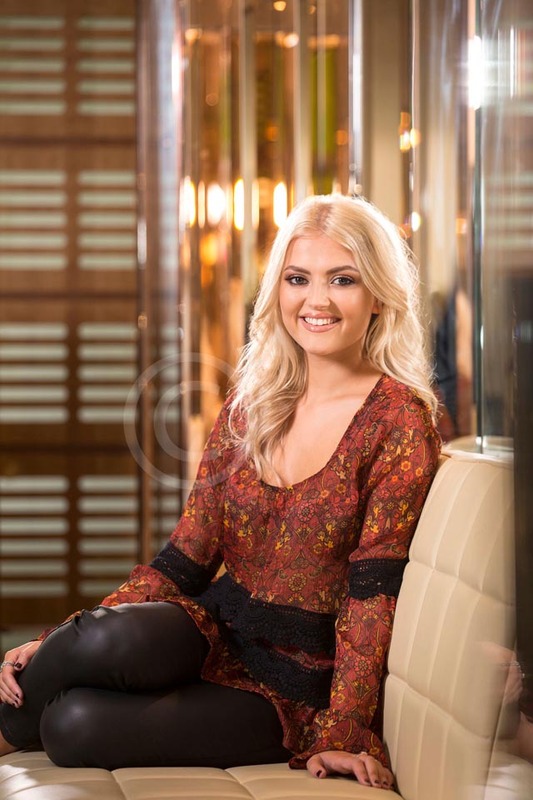 This time last year I was lucky enough to photograph Lucy Fallon, Coronation Street actress, at the Lowry hotel in Manchester with writer and stylist Tricia Welch. 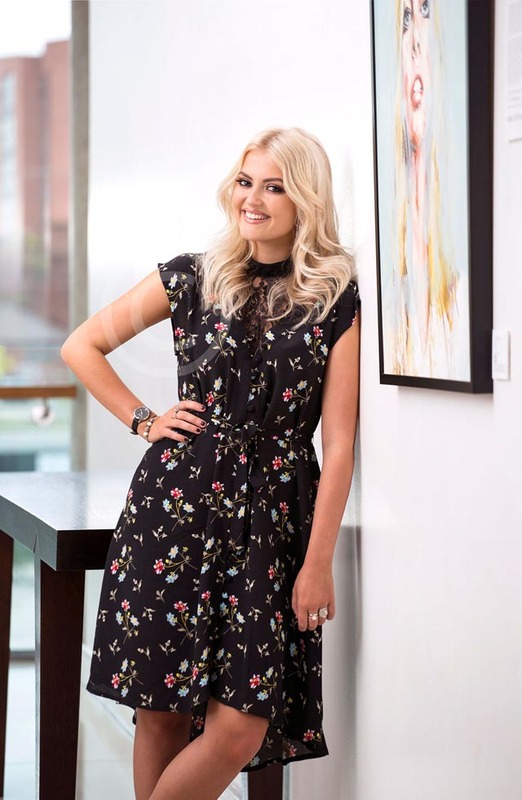 The shoot was for the Sunday Express ‘In the Closet’ feature where we shoot three different looks along with lots of detail shots of clothes, shoes, jewelry etc… Lucy made my job easy because she was so relaxed and natural in front of the camera (and beautiful of course!). Sagar Wright is a recruitment company in Leeds that I’ve shot for several times. They asked me to do another location photoshoot so that they could keep their website up to date. Their website requires very wide images with vector shapes that move across the images as you scroll. Quite tricky to shoot, so I always make a mask for the camera’s viewfinder to make sure I’m getting the composition right. There are some great locations in Leeds city centre and thankfully the weather was kind to us. 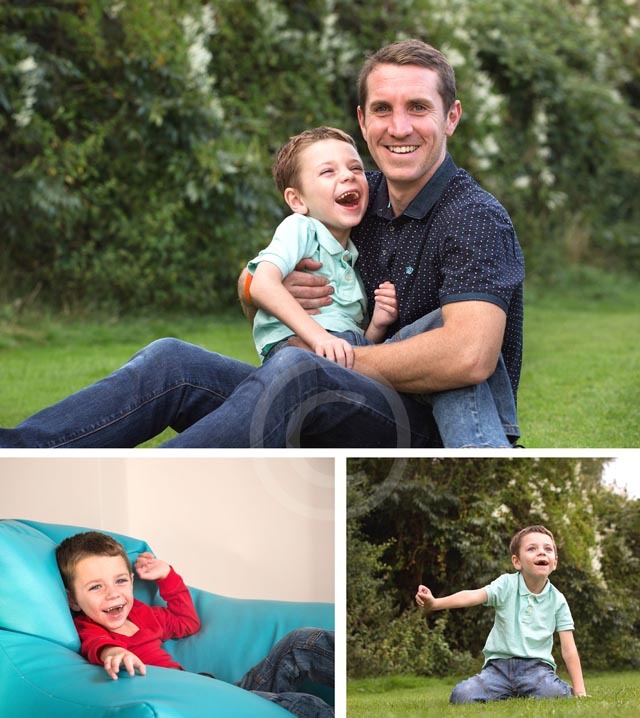 At the age of two, Ollie was diagnosed with Battens – a fatal genetic disease. This means that Oliver will suffer progressive neurological impairment and become more and more limited in what he can do. I photographed Ollie and his family for You magazine’s Well Child feature. Ollie’s joyfulness and determination is amazing and I completely fell for this happy little boy. As I was leaving, Ollie came over to give me a hug, which really wasn’t an easy thing for him to do. A video of him giving Prince Harry a hug at the Well Child Awards later in the year went viral. On shoots like these I have to make myself stay as happy as I can and hold the tears for the car journey home. Click here to read more about Ollie – Ollie’s army. I also photographed Danny Griffiths, winner of the ‘Most inspirational young person aged 11-14’ category who suffers from Epidermylosa Bullosa (see DEBRA), and Brodie Meredith, winner of the ‘most caring child’ category. And on a lighter note – it was fantastic to photograph actress Rhea Bailey for another ‘In the Closet’ feature. Rhea was loads of fun and I was amazed at how different she looked in each set up. It’s a real joy photographing actresses, as they so easily understand what you need – Rhea was brilliant. I struggled to keep up with Sarah on this shoot in Manchester for Fit and Well magazine. 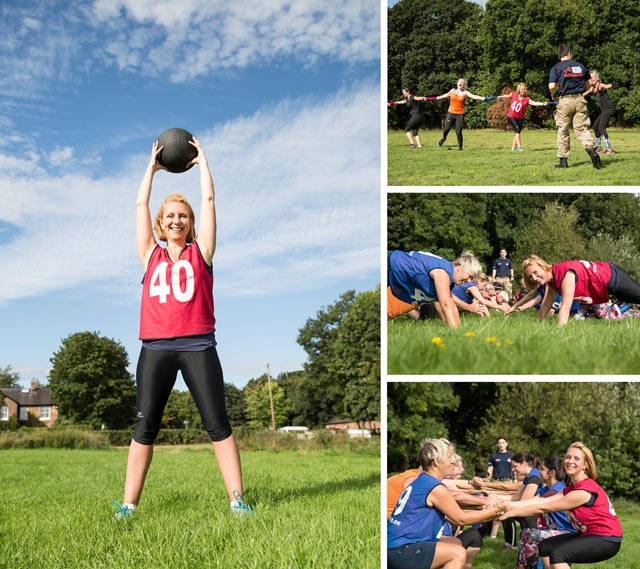 The feature is called ‘How I did it’ and Sarah got fit through BMF (British Military Fitness) classes. Blessed with gorgeous sunny weather I followed Sarah around a field whilst she did the tug of war, press-ups, squats, star jumps and ran up and down all over the place. Exhausting! I loved this shoot with Katelyn, in Durham, for Fabulous magazines’ feature, ‘It happened to me’. I met Katelyn, who is only 13, in a cafe along with her parents. 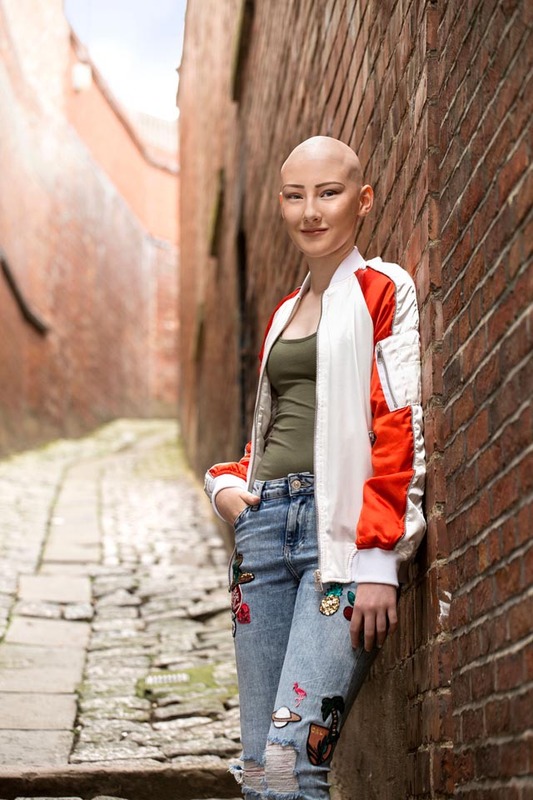 She lost her hair at the age of two years old and has gone on to become a wig model. Having access to lots of different wigs means she can really change her look dramatically as and when she feels like it. It was Katelyn’s idea to pose without her wig on. I was really inspired by her confidence and I think she looks really beautiful. The last master cooper in England. 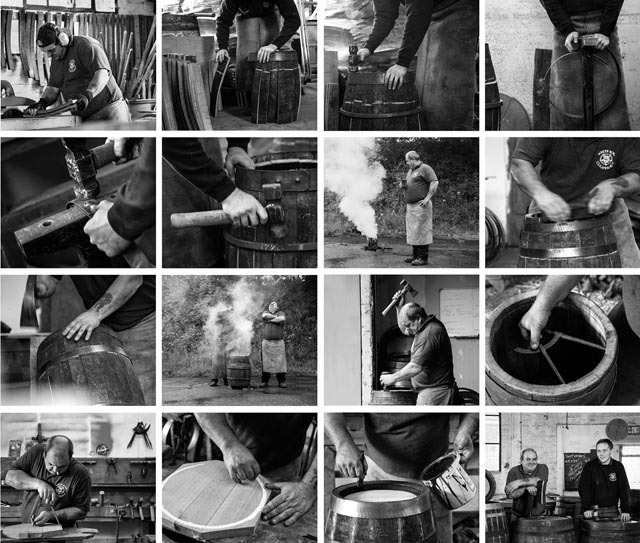 This was for Waitrose Weekend who ran a feature on White Rose Cooperage in Wetherby near Leeds. This was a documentary style job with Alastair and his aprentice where I followed the fascinating process from start to finish and it is such a skilled and labour intensive job. These two are true artisans. 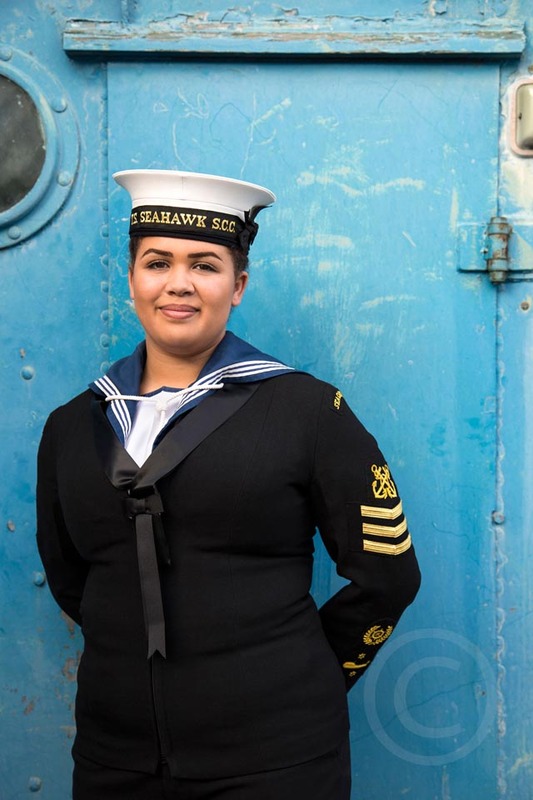 This is Oumie, a Sea Cadet, photographed in Birkenhead for the Marine Society and Sea Cadets – Annual Review. We shot lots of options but this is my favourite. We found a rusting old metal shed with a porthole window painted in this beautiful blue. I loved this job for Pet’s at Home VIP magazine. 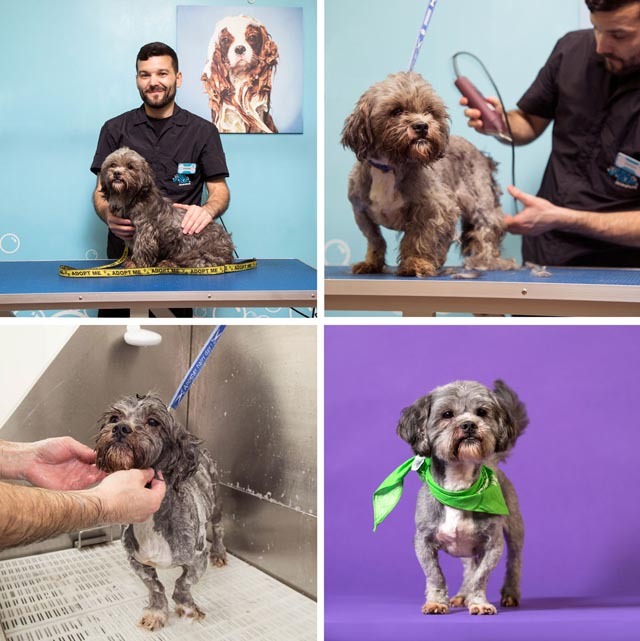 The feature was about two rescue dogs from Merseyside dogs home, being groomed at the St Helen’s groom room. Gandalf arrived in a terrible state, caked in dirt and faeces, he absolutely stank and unsurprisingly he was not a happy little chap. The state he was in, quite upset the staff and they treated him with extra loving care. He had to have most of his hair shaved off, his nails which were really long got trimmed back and then he had three shampoo’s and a blow dry. The first time he wagged his tail was during his ‘after’ shots. More here. Last but definitely not least, this was a bumper shoot with actress Tina Malone for Closer magazine. It was a full days shoot starting at Aesthetically You, in Liverpool, where Tina underwent several cosmetic procedures. I’ve got to be one of the most squeamish photographers around so I really had to psych myself up for this, but it’s a funny thing – I feel so much braver behind a camera and it didn’t bother me at all. We then moved on to a studio where we did the post surgery ‘show off’ shots. Tina is always so much fun to work with and is brilliant in front of the camera.